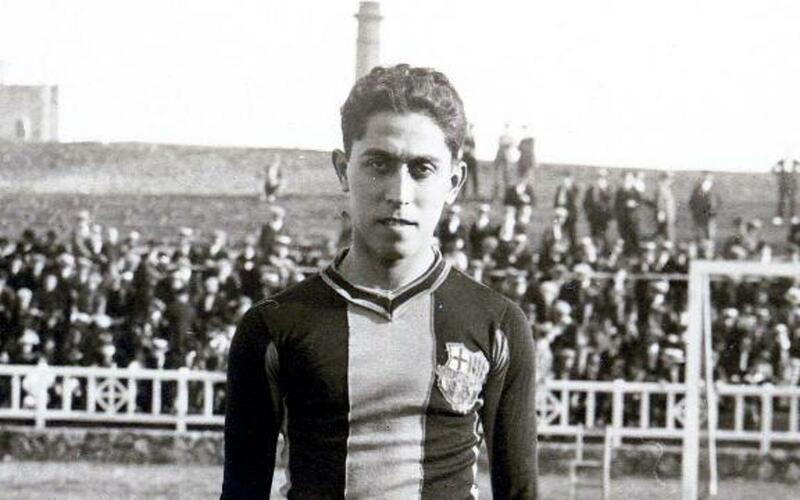 His characteristic deceptive appearance made him popular with the fans to the point of being the first star of the club in the golden ages of the twenties, alongside Samitier, Zamora, Sagi, Piera and many more. His ability to hit the most powerful of shots crossed frontiers on the 30 April 1922 when, in a game between Spain and France, he hit a shot so hard that it ripped right through the net. For many years after, children from Barcelona would recall that moment and would wish to do the same as the man from the Philippines. He hung up his boots on the 3 July 1927 in order to become a doctor. That day, he received a well-deserved tribute from the Barça fans at the Les Corts grounds. However, this was not his goodbye to football. He was on the board of directors between 1931 and 1934 and Alcántara was one of the first footballers to write memoirs of his playing days.